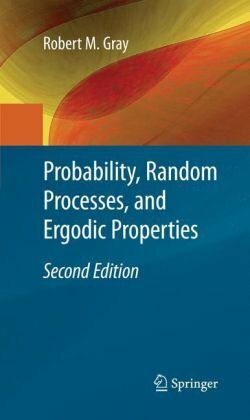 This book is a self-contained treatment of the theory of probability, random processes. It is intended to lay solid theoretical foundations for advanced probability, that is, for measure and integration theory, and to develop in depth the long term time average behavior of measurements made on random processes with general output alphabets. In this book Nelson develops a new approach to probability theory that is just as powerful as but much simpler than conventional Kolmogorov-style probability theory used throughout mathematics for most of the 20th century. From the table of contents: Some theoretical background; The binomial distribution; The Poisson distribution; The geometric distribution; The Pascal distribution; The negative binomial distribution; The hypergeometric distribution. This material was made available for the course Probability of the Mathematical Tripos. Contents: Basic Concepts; Axiomatic Probability; Discrete Random Variables; Continuous Random Variables; Inequalities, Limit Theorems and Geometric Probability.